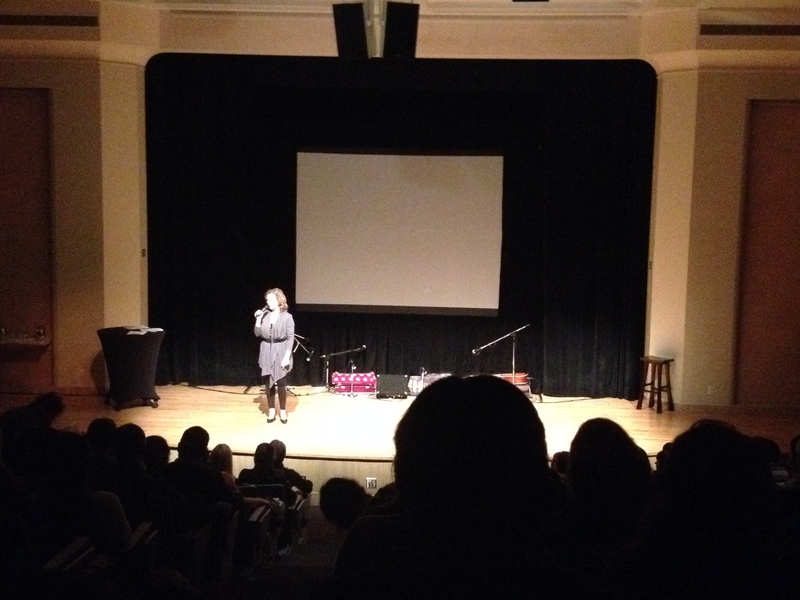 Today, I want to recap some of the amazing experiences I had at the Victoria Yoga Conference. Much love to Carolyne Taylor and the wonderful crew of volunteers who made it all happen! 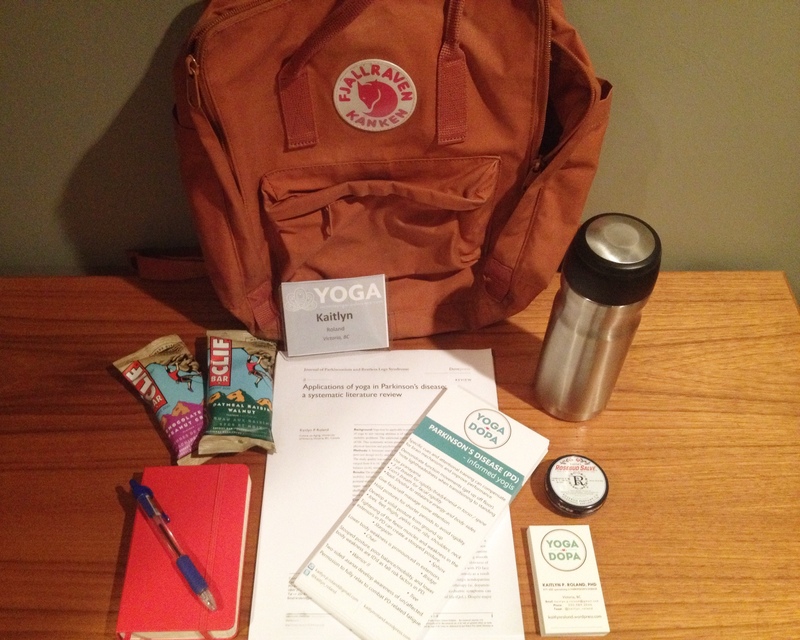 my bag packed – conference badge, yogadopa handouts, moleskin, and snacks! 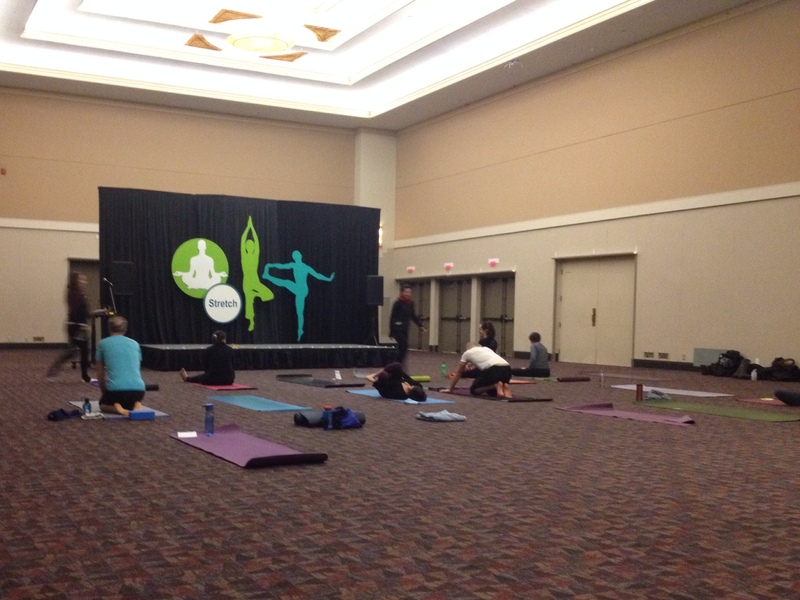 welcome to the Victoria Yoga Conference! Friday night started with inspiring stories of extraordinary living! I followed that up with deep back bending with Suzanne Faith Slocum Gori … and did some great partner assists that brought my foot to my head in full Eka Pada Rajakapotasana (or one-legged king pigeon… yes!). Some really deep chest opening is a great way to start the day! the view from my mat. My Yogadopa: yoga for people living with Parkinson’s disease session went really well and I had a great diverse group of yoga therapist, yogi with PD, interested yogi, healthcare worker, yoga teacher and caregiver. We did a general overview of Parkinson’s, some of the symptoms and specific yoga poses that can address the rigidity, bradykinesia, weakness, asymmetry and fatigue. Rachel Scott did an amazing job of summarizing a trillion years (ok, I exaggerate!) of yoga history in 75-minutes… I can really geek out on vedic history, the upanishads and the bhagavad gita. And Madhuri offered a wonderfully grounding Ayuvedic yoga practice for the winter (vata) season. setting up to release our psoas. I learned a lot about releasing the psoas from Jules Payne (Ajna yoga) and that by keeping our hip flexors/groin relaxed and “supple”, we increase parasympathetic activation and reducing our stress response. 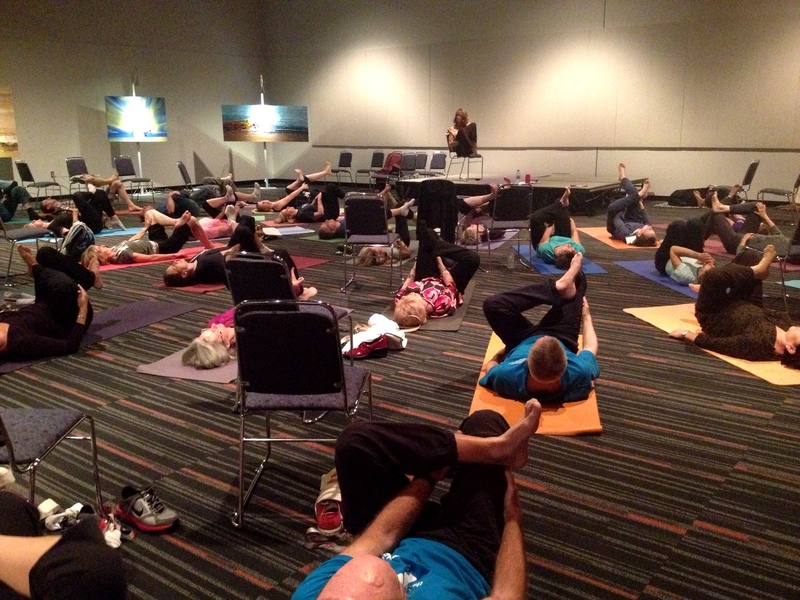 It felt so good to work on relaxing the front of our hips (modern stressors – i.e. sitting, driving keeps them so tight!) through some great releases (slow-mo ball rolling with our pelvis and spiky ball rolling of our feet – amazing! ), box squats and alternate limb super mans (to build gluteus max) and legs-up-the-wall pose with some resistance. 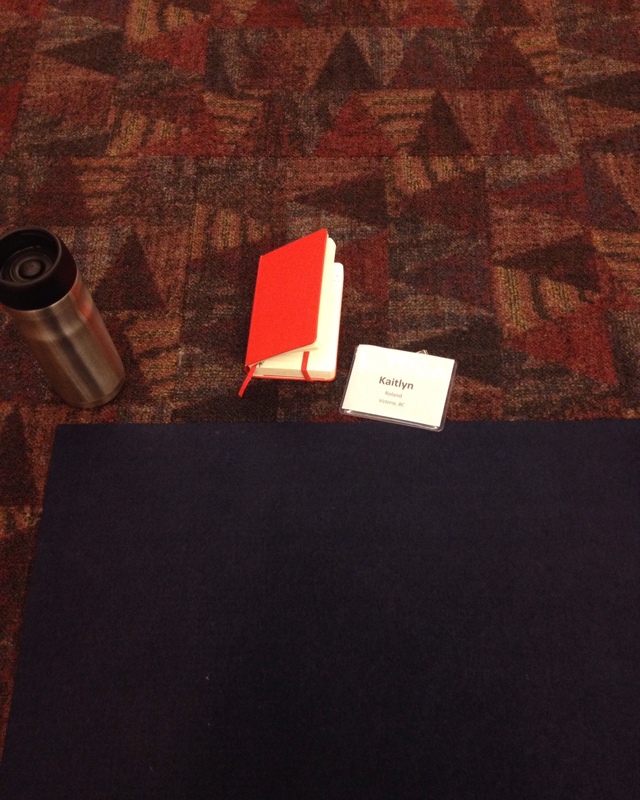 This is one session I may have to blog about more… because who doesn’t love the psoas?! Finally, Ryan Leier (from One Yoga) led a morning Ashtanga class with a twist … and offered some great teachings from P. Jois – reminding us that our physical practice needs to be grounded in the yoga sutras, yamas (right/ethical livings), niyamas (restraints/observances) and breath. It was an incredibly FULL weekend, in all senses of the word. Much gratitude to the yoga community in Victoria (and those yogis who travelled to be here). much love. 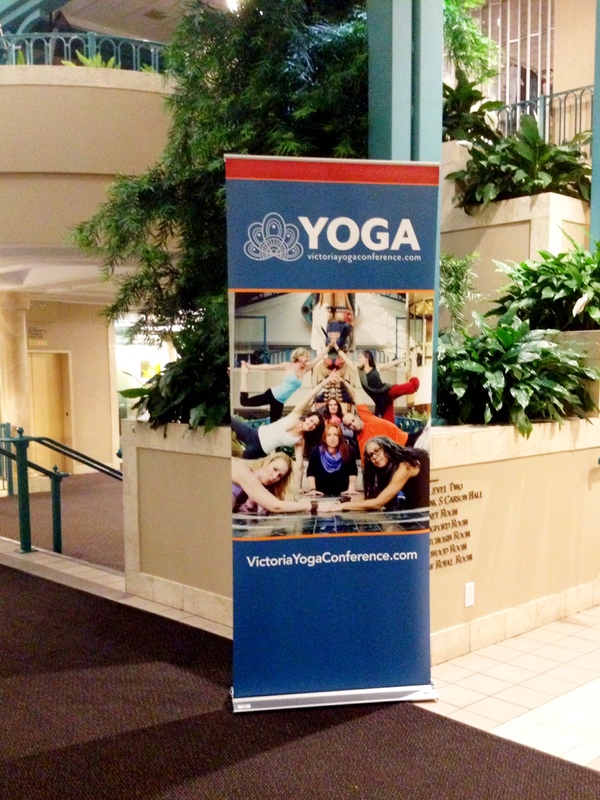 Yogadopa at the Victoria Yoga Conference! … just another reminder to check out the full line-up for the Victoria Yoga Conference, happening January 31-February 2nd here in Victoria! I’ll be doing a Yogadopa session… yoga for people living with Parkinson’s disease, healthcare professionals and others on Saturday February 1st 11-12:15. Yogadopa makes yoga accessible to people with Parkinson’s disease (PD) and other neurodegenerative diseases. Join Kaitlyn as she combines her research and experience-based expertise to uniquely addresses PD symptoms in a safe environment. 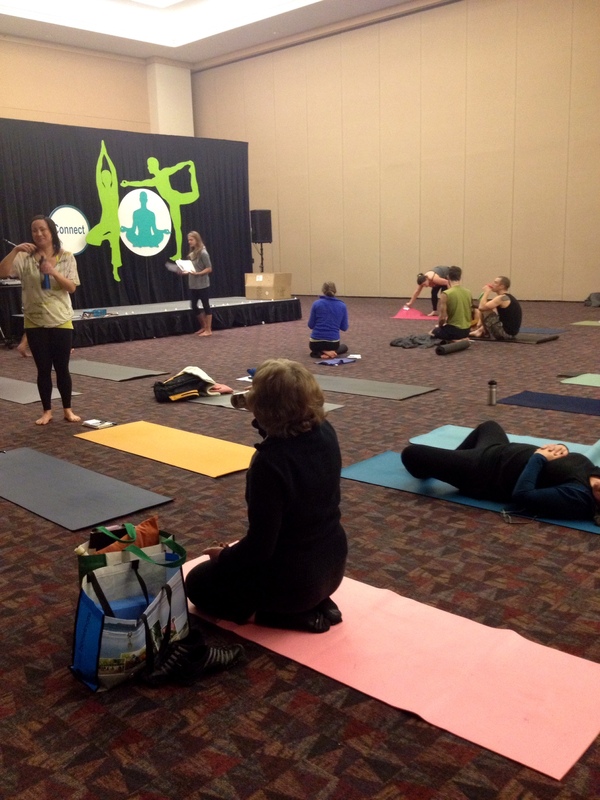 This session will emphasize body awareness and postural stability lost from PD, promote ways to use your own strengths & induce relaxation to combat disease-related fatigue. All persons who live with (persons diagnosed, care partners) and support (yoga teachers, exercise/physical therapists, healthcare practitioners) PD and neurodegenerative diseases welcome! … More information on registration HERE. 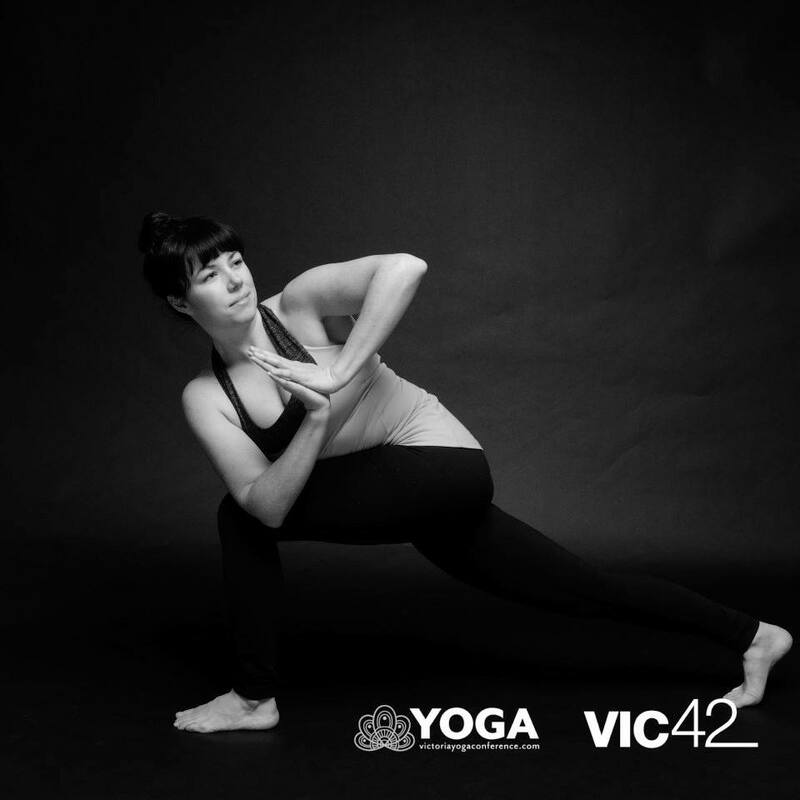 Yogadopa is a community class and will be $15 in advance or $20 at the door. Hope to see you there! much love.